Acapela Group » Communication aid: Lightwriter Swift helps users to engage fully in social situations with Acapela voices. 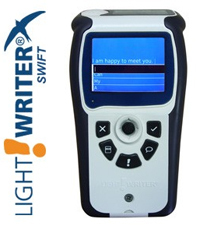 Communication aid: Lightwriter Swift helps users to engage fully in social situations with Acapela voices. Just slightly bigger than a smartphone, the latest text to speech communication device from Toby Churchill has been designed for literate people to help them communicate more confidently and fluently with anyone. It enables users to generate words, phrases and sentences rapidly, to be an active participant in the conversation, and to make themselves clearly heard. The Lightwriter Swift has been designed for enhanced interactive conversation with its unique dual screen technology. It delivers high quality sound through dual speakers with responsive, natural-sounding speech from Acapela. Acapela text to speech turns written messages into a pleasant voice instantaneously. Quick touch controls with joystick access enhance device ease of use and rapid access to ‘social sounds’ help to get end user’s message across within the context of the conversation, providing a perfectly natural and audible output even in a noisy environment. The new Lightwriter Swift is aimed at people who have lost their speech through stroke, brain injury or cancer as well as those living with conditions such as cerebral palsy and motor neurone disease. The pocket-sized dedicated device already speaks English (UK & US) and will be soon available in the same range of Acapela voices that all other Lightwriter devices are: Danish, Dutch, Finnish, French, French Canadian, German, Italian, Norwegian, Spanish, and Swedish. To date, more than 40,000 people around the world have used a Lightwriter to aid their communication. Lightwriters are exported to 23 different countries and are available in 13 different languages. Founded in 1973, Toby Churchill Limited has a long and rich history. The founder, Toby Churchill, pioneered the first keyboard-based communication device – the Lightwriter – over 40 years ago. Today, Toby Churchill Limited is a leading, global provider of high-tech augmentative communication solutions. Our range of communication products, in 13 languages, supports the particular and changing needs of people living with speech impairments. Acapela speech technology is the underpinning for this multilingual support. 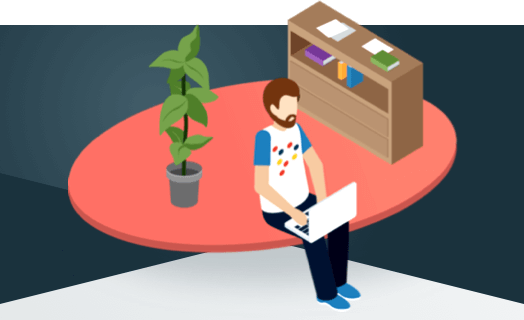 Dedicated to researching and developing products and services which are reliable and dependable, we strive to meet and exceed customer expectations. Our guiding principle is the seamless integration of people and technologies. By working closely with researchers, academic institutions and high quality partner companies such as Acapela, we continually explore new developments to expand on the solutions we provide and the needs we serve. We are privileged to work as part of this amazing community.